The Windows detachable combines the U-shaped metal kickstand of the Spectre x2 and the Alcantara look of the Surface Pro keyboard with a passively-cooled Core m3 processor. Chuwi is promising a retail price of just under $400 if the Kickstarter proves to be successful. Chuwi has been shameless in some of its product designs. The LapBook Air, for example, closely resembles the MacBook Air but for a fraction of the price. The upcoming UBook 2-in-1 detachable looks to be Chuwi's inexpensive knockoff of the Microsoft Surface Go and HP Spectre x2 detachables. 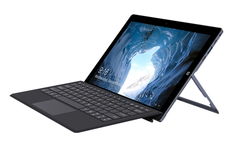 The 11.6-inch detachable will sport a passively-cooled Core m3 CPU similar to the lowest-end SKU of the 2017 Surface Pro. To better compete against the Surface Go, however, the UBook 2-in-1 will sport dual USB Type-A ports compared to none on the Microsoft equivalent. Both RAM and storage will also be doubled to 8 GB LPDDR3 and 128 GB, respectively, with an even higher-end 1 TB option planned. 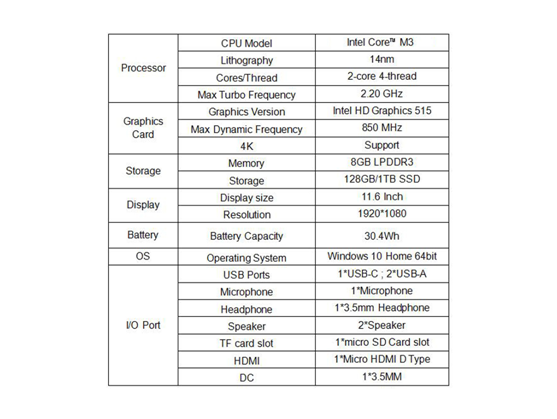 Chuwi intends to launch the UBook 2-in-1 for under $400 USD compared to almost twice that for the Surface Pro or Spectre x2. Availability will be unveiled once its Kickstarter page is up and running. Based on our experience with the LapBook series, the UBook 2-in-1 should be decent for browsing, streaming, and word processing as the low-power Core m3 processor will likely be a bottleneck for heavier tasks.